On the last day of January, Msgr. Everardus Antonius .M Baaij, S.C.I, passed away at the age of 90. Msgr. Baaij was the second bishop of the South African Diocese of Aliwal, from 1973 to 1981, but was born in Rotterdam, the Netherlands. In his period as Aliwal’s chief shepherd, the South African Church made the transition to open opposition to the Apartheid policy, a change mainly noticed in the urban parishes of the diocese on South Africa’s southwestern coast. At the same time, the laity took on much more responsibility, only in part because of the shortage of priests, while Bishop Baaij held the see. Bishop Baaij passed away at a senior living community in Port Elizabeth, having suffered heart failure in his final days. Despite having lived in South Africa for 55 years of his life, Bishop Baaij initially ministered in Canada and the United States, before leaving for the missions in South Africa. Pope Paul VI appointed him Bishop of Aliwal in 1973. His episcopal motto was Veni Creator. He resigned in 1981 for health reasons. He served as chaplain of Nazareth House in Port Elizabeth, where he also died. The bishop will most likely be buried in Aliwal, according to the superior of the Priests of the Sacred Heart, the late bishop’s religious congregation. In the aftermath of my post on Bishop Schilder, I wondered how many other Dutch bishops are serving abroad, or, at least, are still alive. In a twist of irony, the Netherlands was at one time something of an exporter of missionary priests and religious and some of those ended up climbing the ranks to become bishops of a diocese on another continent. A glance at the unrivaled repository of all things bishop that is Catholic-Hierarchy, I found a list of all living bishops who in some way have something to do with the Netherlands. Among them the bishops who were born here but who put on the mitre somewhere else. There are twelve of them. Eight have already retired, and four are still active. Monsignor Wilhelmus Josephus Adrianus Maria de Bekker. 71 years old. Bishop of Paramaribo, Suriname. Ordinary since 2004. 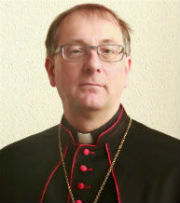 Monsignor Wilhelmus Joannes Demarteau, M.S.F. 94 years old. Emeritus Bishop of Banjarmasin, Indonesia. Ordinary from 1961 to 1983. From 1954 to 1961 he was the Vicar Apostolic of Banjarmasin, then not yet a diocese. 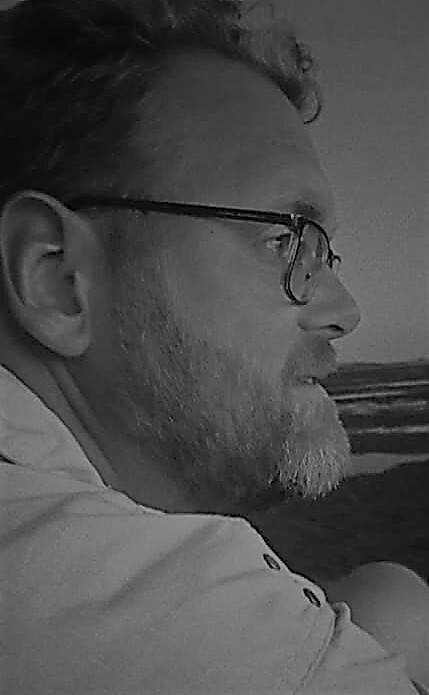 Monsignor Henk Kronenberg, S.M. 76 years old. Emeritus Bishop of Bougainville, Papua New Guinea. Ordinary from 1999 to 2009. Monsignor Herman Ferdinandus Maria Münninghoff, O.F.M. 89 years old. Emeritus Bishop of Jayapura, Indonesia. Ordinary from 1972 to 1997. Monsignor Joseph John Oudeman, O.F.M. Cap. 69 years old (exactly 69 today, by the way). Auxiliary Bishop of Brisbane, Australia. Auxiliary since 2002. Monsignor Cornelius Schilder, M.H.M. 69 years old. Emeritus Bishop of Ngong, Kenya. Ordinary from 2002 to 2009. 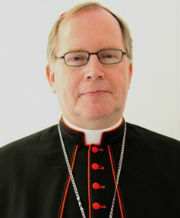 Monsignor Andreas Peter Cornelius Sol, M.S.C. 95 years old. Emeritus Bishop of Amboina, Indonesia. Appointed Coadjutor Bishop in 1963, ordinary from 1965 to 1994. Monsignor Johannes Henricus J. Te Maarssen, S.V.D. 77 years old. Emeritus Bishop of Kundiawa, Papua New Guinea. Ordinary from 2000 to 2009. Monsignor Theodorus van Ruijven, C.M. 72 years old. Vicar Apostolic of Nekemte, Ethiopia. Appointed Prefect of Jimma-Bonga in 1998, Vicar Apostolic of Nekemte since 2009. Monsignor Hugo María van Steekelenburg, O.F.M. 73 years old. Bishop of Almenara, Brazil. Ordinary since 1999. 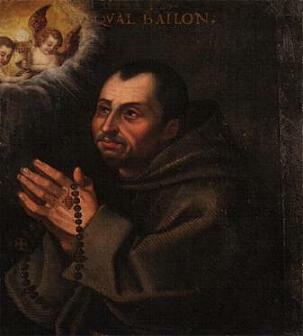 Monsignor Vital João Geraldo Wilderink, O. Carm. 79 years old. Emeritus Bishop of Itaguaí, Brazil. Appointed Auxiliary BIshop of Barra do Piraí-Volta Redonda in 1978, ordinary of Itaguaí from 1980 to 1998. All but one of these bishops belong to religious orders or congregations, indicated by the abbreviations behind their names, evidence that all of them once joined the mission as priests. The twelve also represented at least two distinct generations. The first in the late 80s and 90s, and the second, still serving for the most part, in their 60s and 70s. The youngest, Bishop Oudeman, being 69, does show that this Dutch presence among the bishops of other nations is slowly coming to an end. After all, it is not unheard of that priests in their 40s or 50s are appointed bishops, but these men are well beyond that age. Besides, most of the countries named above are now ‘homegrowing’ their own bishops, so there is less need to fall back on the mission. But, as it is, these twelve men of God remind us of a part of the recent history of the Catholic Church in the Netherlands which seems quite unusual to our modern eyes. Nu.nl announces that Wesley Sneijder, man of the match in both of the games the Dutch team has played in the World Cup, has recently become Catholic, while English team captain Wayne Rooney was blocked from answering a question about the cross and rosary he habitually wears. Apparently, faith and football go well together, but it is still reason for a slightly amazed tone in media reports: wow, normal people can be Catholic too. The perceived amazement is not very surprising. One rarely sees the Catholic identity of people so clearly, unless the person in question is a priest or bishop, for example. The fact that Sneijder openly mentions that he was introduced to the Church, and Rooney’s rosary and cross (which he wears outside training, of course), are both subtle but potent witnesses of faith. Peace is built on inner values such as mutual respect and appreciation of difference. A football Peace Cup is a modest attempt to bring about value change through the immediate experience of the ‘other’ as a human being with unique qualities and skills. Large scale social transformation is arrived at through small scale relationships. It is our prayer that the ties of unity and understanding built up in the teams of this Peace Cup will spread as a leaven into South Africa’s burgeoning multi-ethnic society so in need for real examples of peacefulness.